My own stash of liquid gold for special occasions aka blueberry muffins. …as if you aren’t already sweet enough. Cookies will be baked and brittle will be broken this holiday season. So, why not make your holiday treats as amazing as possible with a lot of love and a little less blood sugar imbalance. 1. Liquid Gold. Practice swapping processed refined sugar for the real deal. 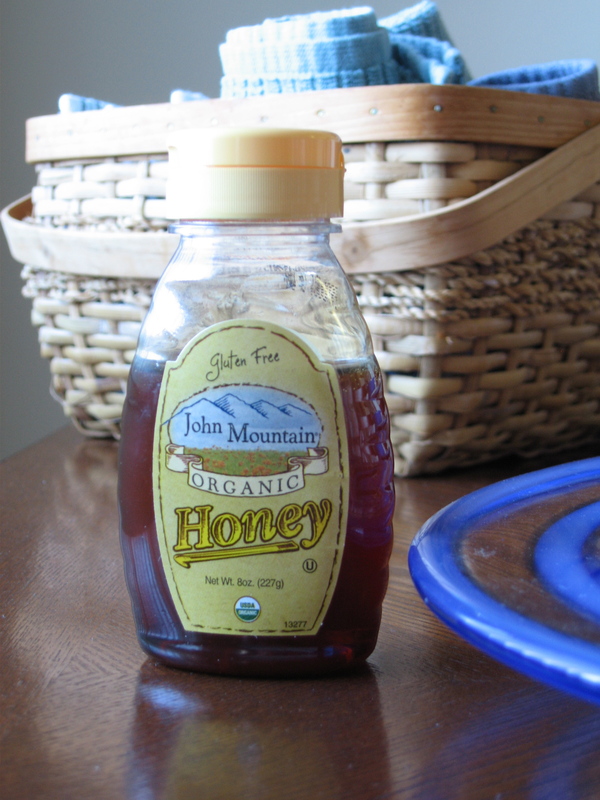 Try using local honey, pure maple syrup or low glycemic coconut nectar and coconut palm sugar. Conversion: 1 cup refined sugar = 3/4 cup liquid sweetener. If you are using the coconut palm sugar, which is a fab replacement for brown sugar, the conversion is 1:1. 2. Go Herbal. You can really lower calories and the glycemic load by replacing your processed refined sugar with stevia. This natural herb is low glycemic and just 1 tsp of powered or liquid stevia equals 1 cup of sugar (1 Tbsp of sugar = 1/4 tsp powered stevia or 6-9 drops liquid). The Sweet Leaf Stevia brand is a great choice. NOTE: using too much will leave a bit of a bitter aftertaste. 3. Go Nutty. Since most recipes call for processed refined flours which jack-up your blood sugar levels, try using lower glycemic almond or coconut flour. For incredibly yummy recipes utilizing these flours, please visit Danielle Walker’s and Elena Amsterdam’s websites. 4. Cut the Crust. Channel your inner 4-year-old and skip the crust. Bake individual ramekins filled with your favorite custard or pie. Not only does it control portion size, but it adds a sense of fancy-pantsness to your meal. Yes, that is a real word… to me. 5. Chocolate Black Out. Melting dark chocolate (70% cacao or more) and dipping fruit, almonds, cashews or hazelnuts in it is the Bee’s Knees! Not only is it lower in sugar, but it is super easy too.